Whether you live alone or share a residence, an intercom system in your home can be convenient, as well as provide an added measure of security. You can never be too cautious, when it comes to your safety and the safety of those you care about. And, with safety and security come peace of mind. Each room of your home can be equipped with an intercom system sub-station. You will be able to monitor one room at a time or the entire house all at once. This is especially nice for families who have young children or babies. When the children are playing in another room, or if the baby is sleeping in its crib, and you need to be in a different area of your home, an intercom system allows you to monitor the children and/or baby from your location. Simply press the ‘monitor’ button in any room you wish to monitor, and you’ll be able to hear the activity in that room. Having an intercom system in your home allows you to carry communicate with every indoor station simultaneously. This makes calling the family to dinner a breeze! Should you have guests in your home, an ill family member, a sleeping infant, or anyone else who doesn’t want to be bothered, a privacy button may be used to disable the ‘all-call’ feature in the room or rooms you wish to leave undisturbed. The privacy button also disables the listening-in feature in those rooms. 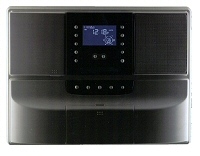 For the music-lovers, a home intercom system can be used to pump music throughout the house. With our built-in music system, you’ll be set to listen to music in any room in your home. When you hear a knock at your door, or your doorbell is ringing, it’s a good idea to be sure who is calling on you before you answer the door. A home intercom system may be used to verify who the caller is. Have door stations installed with your intercom system, so that you will be able to identify your visitors from within the safety of your home.